Albert “Al” W. Smith, Age 87, died on Sunday, June 3, 2018 at Saint Anne Extended Healthcare. Born November 27, 1930 (Thanksgiving Day) in Winona, MN to Albert and Lois (Bulter) Smith. Al attended Madison, Jefferson, and Cotter High School and graduated in the class of 1948. He attended St. Thomas University for two years and Winona State University for one year. He was enrolled in the air R.O.T.C. program for two years, and served ten years with the 419th Civic Affairs Military Government CO. He was honorably discharged in 1961. He married his childhood sweetheart, Patty Schnieder, on October 16, 1954. Patty and Al owned and operated Smith’s Winona Furniture for many years. Al was a furniture fixture in Winona for 40 years. Patty and Al retired in 1994. Patty preceded Al into heaven on November 24, 1999. Al loved baseball. He started his career playing Midget League Baseball for the Federal Breads. He played two years of American Legion Baseball and also played baseball for Cotter High School. Al went on to play amateur baseball for the Winona Rockets and Braves. He also enjoyed city league basketball, golf, bowling, and fishing. His Smith’s Furniture bowling team won many league and city awards. He and Jerry Bubzitz won the cities Doubles Crown in 1975. His love of baseball drew him to the Winona Chiefs amateur baseball team, and for over 35 years, he was involved with this group of wonderful young men. His team won many league titles and won both the Minnesota and Wisconsin state tournaments. They also won two N.B.C. titles and were runners up three times in N.B.C. tournaments. Al was busy with all aspects of the sport, from kids tee ball to the major league Minnesota Twins. Since 1961, he has been involved with the Twins, doing volunteer work. He was best known for his organizing of the Twins Winter Caravan that became the best stop ever for the Minnesota Twins. Al was a Twins season ticket holder since 1982. Many people enjoyed his two seats, as he gave them to any and all benefits that came his way. On May 24, 2011, the Twins honored Al by having him throw out the first pitch. It was a strike. His love of animals played a key role in his life. He had many pets, from his tame squirrel, Frisky, to the many dogs he loved. His last three pups were Tramp, Lady, and Rudy. In his youth, Al was a member of St. Mary’s Church. 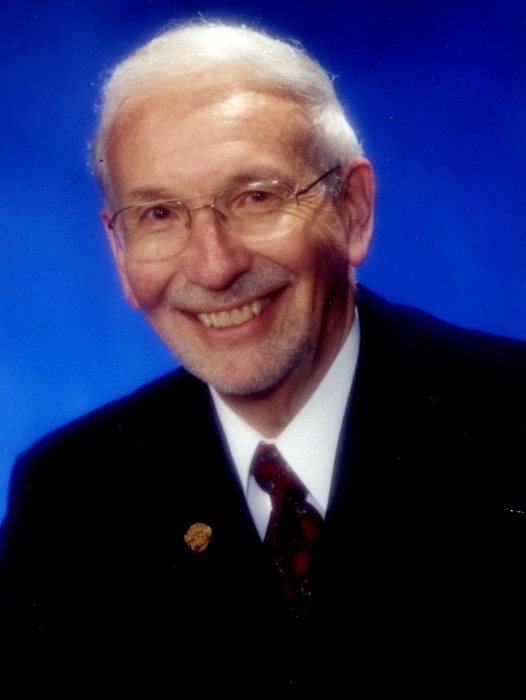 He spent most of his life as an active member of St. Casimir Church, where he was the Chair of the Pastoral Council, Chair of Finance Council, Church Trustee, a member of the choir for many years, and a member of the Bishop’s Guild. He was awarded the Bishop’s Medal in 2007. Al was Winona’s Person of Hope in the early 2000’s. In 2005, he was appointed to the St. Anne Foundation Board and was a member for many years. He was honored by being Winona’s Harbor Master in 1990 and Grand Marshall of Sport in 2007. In 1986, he was inducted into the American Legion Baseball Hall of Fame. In 1981, he was selected as Winona’s Sports Person of the Year. He was Honored in 2001, when the city and state declared Al Smith Day at Gabrych Park on July 28th. In the 1980’s, he was appointed the Out State Amateur Baseball Commissioner, an honor he held for years. In 2005, he was inducted into Minnesota State Baseball Hall of Fame. He was active as a board member of the Cotter Athletic Hall of Fame. Al was a member of Winona’s Chamber of Commerce for 40 years, he was involved with the Winona Country Historical Society, and was a board member for 10 years. He was active with early capital campaigns, the Victorian and heritage fairs, the Woodlawn Cemetery Walk, and the yearly calendars. Most of all, the early special events, including the first vintage 1860 baseball team in the state of Minnesota. The Winona Lumber Barons were led by captain, “Mole Hill” Smith. In 2004 he received the Historical Society’s 14th Annual Heritage Award. He appeared at many functions as Mole Hill Smith in full 1840’s attire. Al is preceded in death by his wife, Patty (1999); his parents; sister, Betty Haun; and brothers-in-law, Ray Haun, Ray Schneider, and John Wolfe. He is survived by his daughter, Deborah (Richard) Sauer; son, Matthew (Katy) Smith; grandchildren, Amanda (Tyler) Johnstone, Jennifer (David) Smith-Zeidman, Erin (Andrew Fricke) Smith, Jessie (Eric Tomaszewski) Clegg, and Joseph Clegg; great-grandchildren, Patrick Clegg and Frank Johnstone; sisters-in-law, Janice Schneider, Sue (John) Schreiber, and Judy Wolfe; many nieces and nephews; special friend and companion, Carole Gardner; and many other relatives and friends. Honorary pall bearers include all of the young men that played Chiefs Baseball for him. All the ball shaggers, score board girls, and of course all the umpires. A visitation will be held on Wednesday, June 6, 2018 from 4 – 7 p.m. at Fawcett Junker Funeral Home. Mass of Christian Burial will be on Thursday, June 7, 2018 at 11:00 a.m. at St. Casimir’s Catholic Church with visitation starting at 10:00 a.m. Reverend Mark McNea and Reverend Robert Stamschror will officiate. Casket bearers will be Joe Clegg, Tyler Johnstone, David Zeidman, Andrew Fricke, Bob Lyons, Mark Metzler. Honorary casket bearers are Curt Peters, Tom Kukowski, John Schreiber, Mark Peterson, Brian Cada, Paul Gardner, John Denzer, Fred Naas, Tim Alexander, Buddy O’Connell and Jason Denzer. Entombment will be in St. Mary’s Cemetery. Memorials may be directed to St. Casimir’s Catholic Church or the Winona County Historical Society.